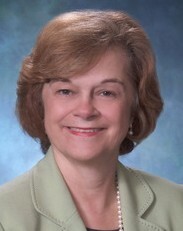 Dr. Elaine Miller is a Fellow in the American Academy of Nursing as well a Fellow in the American Heart Association. She is certified in rehabilitation nursing and gerontological nursing. She has 2 active research projects: the effect of virtual reality simulation on worker evacuation of neonates (funding AHRQ) and self-management of stroke caregiver needs through skill building. In addition, she recently completed several other studies:(1) respite needs of employed caregivers; (2) interventions to reduce modifable stroke risk factors; (3) development of a multidisciplinary adapted cardiac rehabilitation program for stroke survivors;(4) multidisciplinary adapted cardiac rehabilitation after stroke; and (5) co-investigator in a RWJ study to reduce facility acquired pressure ulcers. For almost 20 years, she also conducted multiple studies focusing on informal and formal caregiving relationships of severely physically impaired adults and their primary caregiver. As a result of this prior program of research, she documented salient factors such as quality of life, functional ability of patient and family caregiver, reducing modifable stroke risk factors and essential resources needed to maintain long-term caregiving relationships. Along with her research efforts, Dr. Miller was editor of Rehabilitation Nursing, the refereed scholarly official journal of the Association of Rehabiltiation Nursing, for 13 years until December 31, 2016 and began as editor of Pain Management Nursing on October 1, 2016. Miller, E., Pancioli, A., Broderick, J., Spilker, J., & Shireman, T. (2003). Stroke Impact: Quality of Life and Resources [Abstract]. Stroke, 34, 247. Miller, E & Spilker, E (2002). Readiness to Change and Brief Educational Interventions: Successful Strategies to Reduce Modifiable Stroke Risk Factors [Abstract]. Stroke, 33(1), 395. Miller, E & Spilker, J (2001). Lessons Learned: Why Educational Interventions May Not Work [Abstract]. Journal of Stroke and Cerebrovascular Diseases, 10(4), 196. Miller, E (2000). Gender Considerations When Designing Educational Interventions to Reduce Stroke Factors [Abstract]. Journal of Stroke and Cerebrovascular Diseases, 9(4), 211. Miller, E & Spilker, J (1999). Brief Educational Interventions for Stroke "at risk" Adults [Abstract]. Journal of Stroke and Cerebrovascular Diseases, 8(4), 285. Miller, E., King, K., Miller, & Lee, R. (2012). FAST Stroke Education for Middle School Students [Abstract]. Stroke, 43, A3384. Miller, E., King, K., Miller, R., & Lee, R. (2012). Effectiveness of the FAST Program targeting African American school teachers [Abstract]. Stroke, 43, A3391. Miller, E., & Harris, A. (2013). African American Women Delay in Stroke Treatment Seeking [Abstract]. Stroke, 44, A23. Gailard, T., Miller, E., Sampsel, D., & Bakas, T. (2017). Mild Cognitive Impairment, the New Risk Factor for Stroke? [Abstract]. Stroke, 48, A25. Bakas, T., McLennon, S., & Miller, E. (2017). Satisfaction with the Stroke Caregiver Telephone Assessment and Skill Building Kit (Task II) [Abstract]. Stroke, 48, A22. Miller, E., Dunning, K., Deinlein, A., Kissela, B., Boyne, P., Savicka, T. Gerson, M., Couch, S., Tesat, J., Ballman, K., McCormack, R., Cotton, S., Ittenbach, R., Faulkner, T. (2017). Identifying the "New Normal" in Cardiac Rehabilitation and Stroke [Abstract]. Stroke, 48, AWP170. Timm, N., Farra, S., Miller, E., Gneuhs, M., Brady, W., Mars., Simon, A. (2017). Effectiveness of positive pressure ventilation during newborn care unit evacuation. Journal of Neonatal Nursing, 3, 1-4. Farra, S., Miller, E., Gneuhs, M., Timm, N., Simon, A., & Brady, W. (2017). Evacuation performance evacuation tool. American Journal of Disaster Medicine, 11(2), 131-136. Konicki, T., & Miller, E. (2016). Use of simulation intervention to examine differences in nursing students' hand hygiene Knowledge, beliefs, and behaviors. Nursing Education Today, 45, 96-101. Farra, S., Miller, E., Hodgson, E., Cosgrove, E., Brady, W., Gneuhs, M., & Baute, R (2016). Storyboard development in virtual reality simulation. Clinical Simulation in Nursing, 12(9), doi:http://dx.org/10.1016/j.jen2015.07.012. Smith EE, Saver JL, Alexander DN, Furie KL, Hopkins LN, Katzan IL, Mackey JS, Miller EL, Schwamm LH, Williams LS (2014). Clinical performance measures for adults hospitalized with acute ischemic stroke: performance measures for healthcare professionals from the American Heart Association/American Stroke Association. Stroke, doi: 10.1161/STR.0000000000000045..
Bakas T, Clark PC, Kelly-Hayes M, King RB, Lutz BJ, Miller EL (2014). Evidence for stroke family caregiver and dyad interventions: a statement for healthcare professionals from the American Heart Association and American Stroke Association. Stroke, doi: 10.1161/STR.0000000000000033..
Farra, S., Miller, E., Timms, N. & Schafer, C. (2013). Improved training of disasters using 3-D virtual reality simulation. Western Journal of Nursing Research, 3, DOI10:1177/0193945912471735..
Farra, S. & Miller, E. (2013). Integrative review: Virtual disaster training. Journal of Nursing Education, 3(3), 93-101 DOI: 10.5430/jnep.v3n3p93..
Yap, T. L., Kennerly, S. M., Simmons, M., Bruncher, C. R., Miller, E., Kim, J., & Yap, W. (2013). Multidimensional team-based intervention using musical cues to reduce odds of facility-acquired pressure ulcers in long-term care: A paired randomized intervention study. The American Geriatrics Society, DOI:10.1111/jgs.12422..
Miller, Elaine Tilka (2011). Medication safety: an essential nursing role. Rehabilitation Nursing : the Official Journal of the Association of Rehabilitation Nurses, 36(4), 134, 174. Miller, Elaine Tilka (2011). Elder abuse can happen to any older adult. Rehabilitation Nursing : the Official Journal of the Association of Rehabilitation Nurses, 36(2), 46, 72. Miller, Elaine Disaster preparedness: are you ready?. Rehabilitation Nursing : the Official Journal of the Association of Rehabilitation Nurses, 30(6), 214. Miller, E. T., King, K. A., Miller, R., & Kleindorfer, D. (2007). (In Press).FAST Stroke Prevention Educational Program for Middle School Students: pilot study results. The Journal of Neuroscience Nursing : Journal of the American Association of Neuroscience Nurses, 39(4), 236-42. Miller, Elaine T (2007). Prevention of transient ischemic attack and stroke in older adults: implementing evidence-based interventions. Journal of Gerontological Nursing, 33(7), 26-37; quiz 38-9. Miller, E., King, K., Miller, R., & Kleindofer, D. (2007). FAST Stroke Prevention Program in Middle Schools. Journal of Neuroscience Nursing, 39(4), 236-243. Miller, E., King, K., Miller, R., & Kleindorfer, D. (2007). Testing the FAST Stroke Educational Prevention Program. Stroke, 38(2), 534. Miller, E. T., & Spilker, J. (2003). Readiness to change and brief educational interventions: successful strategies to reduce stroke risk. The Journal of Neuroscience Nursing : Journal of the American Association of Neuroscience Nurses, 35(4), 215-22. Miller, E & Spilker, J (2003). Readiness to Change and Brief Educational Interventions: Successful Strategies to Reduce Stroke Risk. Journal of Neuroscience Nursing, 35(4), 215-222. Miller, E (2002). Targeting Interventions for Primary Informal Caregivers of Adults with Cognitive and Physical Losses. Rehabilitation Nursing, 27(2), 46-51. Miller, E., Deets, C., & Miller, R. (2001). Nurse Call and the Work Environment: Lessons Learned. Journal of Nursing Care Quality, 15(3), 7-15. Miller, E (2000). Partnering: A Remedy for the Emerging Caregiving Crisis?. Rehabilitation Nursing, 25(4), 124-125. Miller, E & Easton, K (2000). Commentary on Mumma's 1986 Article "Perception of Loss After Stroke". Rehabilitation Nursing, 25(5), 195. Miller, E (1999). Clinical Implications: Response to Music Therapy as a Treatment Method for Improving Muscle Strength in Patients with Advanced Multiple Sclerosis. Rehabilitation Nursing, 24(2), 79. Miller, E. T., Deets, C., & Miller, R. V. (1997). Nurse call systems: impact on nursing performance. Journal of Nursing Care Quality, 11(3), 36-43. Miller, E & Bach, C (2007). Research and Evidence Based Practice. The Specialty Practice of Rehabilitation Nursing: A Core Curriculum Chicago: American Association of Rehabilitation Nurses. Burkett, S., & Miller, E.T. (2015). Patient Education across the Lifespan. In Jacelon, C.(Eds. ), The Specialty of Rehabilitation Practice: A Core Curriculum. Illinois: Association of Rehabilitation Nursing. Miller, Elaine T (2017). Pain management nursing : official journal of the American Society of Pain Management Nurses Highlighting Abstracts from the 2016 American Society of Pain Management Nursing Conference: Taking the Next Steps (pp.61-62 Pain Management Nursing: Elsevier. Miller, E (2005). Brief Educational Interventions to Reduce Stroke Risk. International Stroke Conference, State of the Art Stroke Nursing Symposium ,New Orleans, LA. Miller, E (2003). Patient and Family Education. 28th International Stroke Conference, State of the Art Stroke Nursing Symposium ,Phoenix, AZ. Miller, E & Spilker, E (01/30/2001). Life After Stroke: Support for Those Supporting a Stroke Victim. One Hour Yahoo Chat Event ,Healthology, Stroke-TIA.org. Miller, E (2000). Shaping Pain Managament: Collaboration Through Evidence Based Practice. CE Event given for the Tristate VA Medical Center and TriHealth ,Cincinnati, OH. Miller, E (10/20/2015). Models to promote best practice in interprofessional care of stroke survivors and their caregivers. American Congress of Rehabilitation ,Dallas, Texas. Miller, K; King, K; Miller, E; & Lee, R (02/07/2007). Testing the FAST Stroke Educational Prevention Program. International Stroke Meeting ,San Francisco, CA. Miller, E; King, K; Miller, R (2005). Refining the FAST Program. International Stroke Conference, Stroke Educational Intervention for Middle School Students ,New Orleans, LA. Miller, E; King, K; Miller, R; & Kleindorfer, D (2004). FAST Stroke Educational Program for Middle School Children: A Pilot Study. 29th International Stroke Conference ,San Antonio, TX. Shireman, T; Pancioli, A; Miller, E; Spilker, J & Kissela, B (2001). How Are TIAs Managed in a Managed Care Setting? Resource Use and Costs. 26th International Stroke Conference ,Fort Lauderdale, FL. Shireman, T; Pancioli, A; Miller, E; Spilker, J & Kissela, B (2001). Resource Use and Costs of Ischemic Stroke in a Managed Care Setting. 26th International Stroke Conference ,Fort Lauderdale, FL. Miller, E & Spilker, J (08/30/2000). Gender Differences in Designing Educational Programs to Reduce Stroke Risk Factors. National Stroke Association International Meeting ,Toronto, Canada. Miller, E & Spilker, J (1999). Challenges of Stroke Educational Interventions. National Stroke Association International Convention ,Aspen, CO.
Miller, E., Dunning, K., et al. (10/20/2017). Identifying the "New Norm" of Cardiac Rehabilitation after Stroke. International Stroke Conference ,Houston, Texas. Gaillard, T., Miller, E., Sampsel, D., & Bakas, T. (10/20/2017). Mild Cognitive Impairment the New Risk Factor for Stroke?. International Stroke Conference ,Houston, Texas. Miller, E; Pancioli, A; Broderish, J; Spilker, J; Shireman, T (2003). Stroke Impact: Quality of Life and Resources. 28th International Stroke Conference ,Phoenix, AZ. Miller, E & Spilker, J (2002). Readiness to Change and Brief Educational Interventions: Successful Strategies to Reduce Modifiable Stroke Risk Factors. 27th International Stroke Conference ,San Antonio, TX. Miller, E & Spilker, J (2000). Educational Interventions for Adults "At Risk" for Stroke. MNRS Conference ,Detroit, MI. Miller, E & Spilker, J (1999). Brief Educational Interventions for Stroke "At Risk" Adults. National Stroke Association International Convention ,Aspen, CO.
Miller, E (09/13/2007). Rehabilitation Nursing: Past Present and Future. Current Concepts in Rehabilitation: A Nursing Symposium ,Drake Center, Cincinnati, OH. Also 09/15/2007 Also presented "Test Taking and Becoming Certified in Rehabilitation Nursing"
Dr, Elaine Miller has 3 active research projects: the effect of virtual reality simulation on worker evacuation of neonates, multidisciplinary adapted cardiac rehabilitation after stroke; and targeting interventions to reduce modifiable stroke risk factors in primarily African Americans. In addition, she recently completed a RWJ study as a co-investigator to reduce facility acquired pressure ulcers. For almost 15 years, she also conducted multiple studies focusing on informal and formal caregiving relationships of severely physically impaired adults and their primary caregiver. As a result of this prior program of research, she documented salient factors such as quality of life, functional ability of patient and family caregiver, and resources usage affecting the success/failure of long-term caregiving relationships. Nominated as a Health Hero (2015) by the Cincinnati Business Courier. Competence in Aging Award from the CVN Council of the American Heart Association, November 6, 2012. American Heart Association National Cardiovascular Nursing Council, Article of the Year Award for the article: Miller, E., Murray, L., Richards, L., Zorowitz, R., Bakas, T., Clark, P., Billinger, S. (2010). A comprehensive overview of nursing and interdisciplinary rehabilitation care of the stroke patient. AHA Scientific Statement from the American Heart Association on behalf of the American Heart Council on Cardiovascular Nursing and the Stroke Council. Stroke, 41:2402-2448. DOI:10.1161/STR.obO13e3181e7512b, November 15, 2011. 1st Place Award Brief Oral & Poster. Kennerly, S., Yap, T., Miller, E., Hemmings, A., & Beckett, G. Best Practices for Creating and Managing a Pressure Ulcer Prevention Environment. Presentation at the European Pressure Ulcer Advisory Panel Conference, Birmingham, England, 2010. Edna Stillman Award, Excellence in Writing by the Journal of Geronotological Nursing, 11/17/2007. ARN Distinguished Service Award, 10/05/2006. University of Cincinnati, College of Nursing, Dean's Award for Research, 2000.